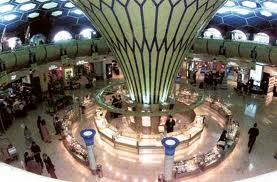 Abu Dhabi Duty Free (ADDF) sales revenues showed significant growth in the first half of 2013, increasing by over AED 108 million and reaching AED 437.6 million, representing a 17.4% increase compared to the first six months of 2012. The published figures revealed that the growth in revenue is largely attributed to the growth witnessed in the Spend Per Passenger (SPP), which registered an increase from AED 53.96 in 2012 to 55.10 in 2013, recording a 2.1% increase compared with the same period last year. This outstanding growth exceeded the 12.6% growth in passenger traffic that Abu Dhabi International Airport (AUH) registered in the first half of this year. Abu Dhabi Airports’ Chief Commercial Officer Mohammed Abdullah Al Bulooki said: “Revenue at Abu Dhabi Duty Free continues to outgrow passenger growth clearly due to the exclusive shopping options and wide variety of special offers available year-round to passengers. With 70% of all passengers using Abu Dhabi International Airport for transfer, Abu Dhabi Airports is committed to further capturing the potential of this market by partnering with additional leading brands and retailers in order to ensure an unparalleled world-class experience.” “The recent introduction of Emporio Armani, and the expansion of the Burberry store in Terminal 3, builds on the success of long-standing retail partners, including Jimmy Choo, Hermes, Bvlgari, and Pure Gold, and makes Abu Dhabi International Airport the ultimate shopping destination for travellers. As the Midfield Terminal comes to realization, Abu Dhabi Airports will look to new partnerships with world-leading retailers to ensure that passengers have a unique shopping experience during their journey through our airports.” The Midfield Terminal Complex (MTC), soon to be the new home of ADDF, has been designed to cater to over 30 million passengers a year and will provide a space of 28,000 square metres for duty free shopping, dining, relaxation (lounges) and entertainment. ADDF is currently looking for new retail partners for this unprecedented shopping avenue.